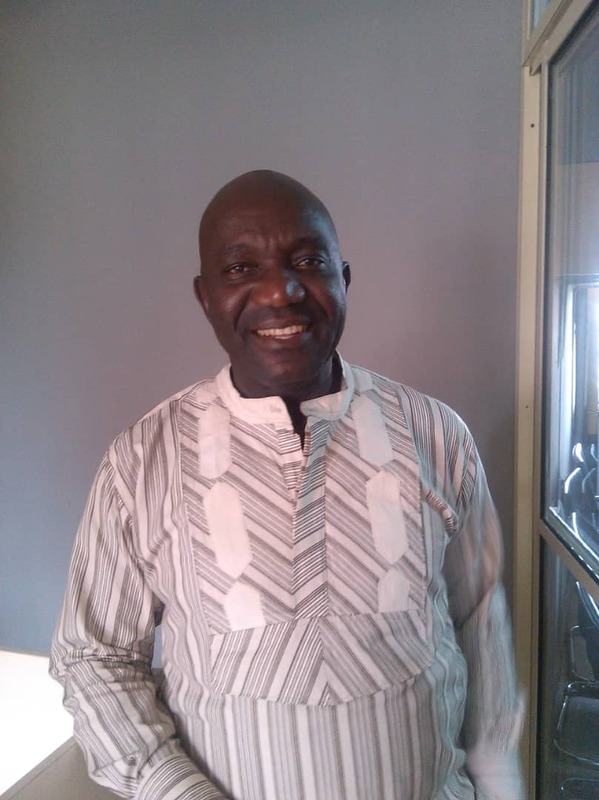 Surveyor Efik is the National Coordinator, Climate Change Network Nigeria (CCN-Nigeria), the organization with a bias for dialogues and media training on Climate Change in Nigeria. Efik spoke to journalists after a media training the CCN-Nigeria organized in collaboration with Climate Action Network in Lagos recently. According to him, Climate Change issue should be on the front burner every time but unfortunately the issue is no longer loud like it used to be in Nigeria due to bureaucratic bottlenecks. DAYO EMMANUEL reports. Sometime when you talk about climate change, people tune off, it doesn’t make sense to them, how do we bring it to the front burner and arouse the interest of the common man to know that it is a big deal? My name is Surveyor Efik but I am not a Surveyor by profession and I am not Efik by tribe. I am the National Coordinator, Climate Change Network Nigeria. This workshop became very relevant for us because it is the agenda of our national partners on Climate Action Network International which my organization represents here in Nigeria. The training is for Africa and it is sub-divided into some African countries and this is the kick-off of the West African sub-training for media practitioners, journalists, NGOs on climate change especially how we can promote the Paris agreement and domesticate it within our country and other regulations of climate change from the top to the bottom, how do we bring things out to the negotiation table to the national and the sub national and the locals. That’s why we need to train journalists. It appears climate change has become an issue now even the country and Nigeria has been docile like you mentioned, people tune off when you mention climate change. A lot of stakeholders tune off, they feel the tempo has come down so how do we bring about this tempo how do we pump up the issue? It is through training the media and journalists so they can bring up issues to the front burner. Years ago we used to have the issues of climate change at the tip of the finger. Around 2009 down to 2012 we used to have it but after that period of time everything came down. I think may be from the government side because once it comes down from the government side and it affected a lot of things, it affected other sectors. What do you mean by when the government side is docile? I’ll explain that. From 2009 it was all commerce affairs; the government promoted it a lot. All stakeholders, the civil society, stakeholders increased, private sector increased the government, stakeholders and private sector activities increased because climate change commerce is for all. Within Nigeria it was every day activity, in the international level also the number of stakeholders increased. Once there are activities, the people would want to know what is going on but from the government side once stakeholders are cut off, people begin to tune off when there is nothing much happening. I want to believe that is what is happening in the climate change sector in Nigeria. Even our media practitioners and journalists in Nigeria also tune off. I heard some journalists complain they don’t even get the stories. There are activities going on and they may want to get more with government information but information is not coming out from the government. Even when you meet the government officials at the international scene and you say you want to confirm this or that, they tune off and that is what is making the journalists to have that withdrawal tendencies. We are trying to train them on reporting and storytelling, we are trying to bring up the tempo again and bring up the issues on the front burner. We are training to make them see, once the tempo is right it will get to the bottom it is not about top-down direction but also bottom-up direction. What would be the ideal situation? The ideal situation we desire is to have the outcome of this meeting to actually enhance the capacity of the media in our country. If this is done, we are looking at the next stage like we are looking at the media now we are also looking at the next stage of engaging the stakeholders, we want to set up a multi stakeholders engagement where we engage the government, the civil society, the youths, women even with the communities so that the impact of the climate change can spread round. If this multi stakeholders engagement is successful, the issue of climate change in Nigeria will be given a rise because people would be active and take action down from the local to the national and international. If you have knowledge you will take action, if you have the data you will take action, if you see the impact of climate change and the experiences of others you would want to take action before it gets worse in your own side. So sharing experiences and information enhance capacity. Also, making the stakeholders take action on the issues relevant to their own impact is important. We have done it before and we want to see it happen again with our international partners. From your experience and engagement with the grassroots, how does the bureaucracy at the top affect the grassroots? It is actually affecting the grassroots because the bureaucratic bottleneck at the top will stalemate the flow of the policy down to the grassroots. It wil stalemate the flow of actions and stakeholders’ activities, that is why we are trying to solve it. The bureaucratic bottle neck in various forms are not helping the system. For instance the one going on at the National Assembly over the implementation of the Climate Change Bill. It is a major issue. If you have such a Bill it will go with basket funds set up by Nigerians for activities that could also help in alleviating the impact of climate change at the local level and when that is not set up how would things run properly? Then if it is going to be set up, how would it be set up? If that Bill is passed, it will now become the master piece of the Nigerian government on climate change. Now bureaucratic bottleneck is there in the Ministry of Environment whereby the climate change department is enclosed. Information cannot go out like the journalists complained that they don’t always get the main person to confirm their stories or to confirm certain data before their stories are sent out. These happen in Nigeria. If the Nigerian government does a thing, they want to confirm so they may have the true position on issues but they are inaccessible. The number of stakeholders coming at the national level is cut down, more stakeholders are not having access to the national issues so how would they now get back to their constituency? Constituency and stakeholders’ engagement on national issues have consistently enclosed, so it poses a kind of bottleneck. These bottlenecks now certainly will render some people redundant because there are committees on the environment at every level of the government, don’t you think? It is the government level that they render them redundant because you will not see a state government being active, you would not see the local government being active because the national is not sending signals to them and then when there is a global gathering when the national is supposed to take along the others, they are not being carried along. The state and local government are not being carried along so they render them redundant. But we the civil society cannot be rendered redundant because we always have our way of sending out our actions. We have our way. Why it seems I’m speaking categorically is because in our projects on climate change we have contacts with the local government in Nigeria. I have interacted a lot and engaged a lot with a lot of local governments and I found out that they are not getting signals from the federal government and we the civil society are not trying to tap in to that signal to say this is the policy thrust this is your own role. We have our climate change adaptation strategy and plan of action which states the roles, that was done in 2011. In those days the atmosphere was open but these days it is no longer open because when we did that each role of everybody was stated. There was top-down, bottom-up flow; national to local, local to national. There was that traffic going up and down. It is like parking your car for two years and after coming to restart it, a lot of things would have rusted. How do you think this can be restarted and how do you think you can oil the system again? We need to oil the system that is the right word. We need to lubricate the system and that responsibility is on the shoulder of the climate change department and the Ministry of the Environment. The Minister should do something in bringing the stakeholders together that is why I suggest the multi-stakeholder engagement. We should try and do that. So climate change in the area of maritime requires NIMASA’s input. Nimasa sometime would complain they are not accessing the main person, that is the climate change department. Renewable energy, energy commission this is our own this is the multi-sector engagement. I’m talking about. Each sector needs to be well coordinated, well mobilized. We need to mobilise them and keep oiling them. The Ministry of Science and Technology, all these must be engaged. In those days we used to have inter-ministerial involvement on climate change which involved about 11 ministries all under the climate change department, then it used to be a unit, now it’s a department. A member of the House of Representative recently said the Ogoni clean-up was a photo trick because nothing is going on as amplified. You are a stakeholder, can you corroborate this? I live in the Niger Delta. I am a stakeholder and I’m part of the stakeholders on the Ogoni issue. What he is saying is very correct. The clean-up is going on but at the site, there is no action. The community is not feeling it and it seems as if nothing is happening. It is going on largely on paper. The real implementation is not there, so the Honourable is very correct. We need to engage constructively with the government to make sure that what they say is the reality on ground.